Sunspots on the skin are very unsightly. Apply these home remedies to help fade the existing sunspots and prevent new ones from appearing. Know details here! The main cause of sunspots is constant exposure to UV rays from the sun, though yeast, natural pigmentation, hypomelanosis, pityriasis alba or fungus can also play a role in their development as well. Stretching out in the sun may feel good at the time but it can increase your risk of damaging your skin and developing skin cancer. Sunspots will cause dark or white spots to appear on the skin. These can be a variety of shapes and colors and develop anywhere on the skin, though they are most common on the hands and face. Lemon has a great deal of citric acid that has great healing properties which helps greatly when dealing with sunspots on skin. Place lemon juice on sunspots and allow it to sit for 10 minutes, but avoid the sun during this time. Consuming raw greens gives the body high doses of vitamins B and E along with high amounts of fiber that can improve the quality of your skin which help fight sunspots on skin and give your skin better protection. Laser resurfacing is an expensive procedure that takes a few weeks to recover from. During this procedure a laser will be used to remove several layers of damaged skin so new, healthier skin can shine through. Chemical peels can be performed at spas or through your dermatologist. A combination of acids will be placed on the face to remove damaged layers of skin. This may cause redness for several days after the procedure. During this treatment liquid nitrogen will be applied to damaged portions of the skin so it will scab. After around a week these spots will fall off, leaving a clear spot on the face. 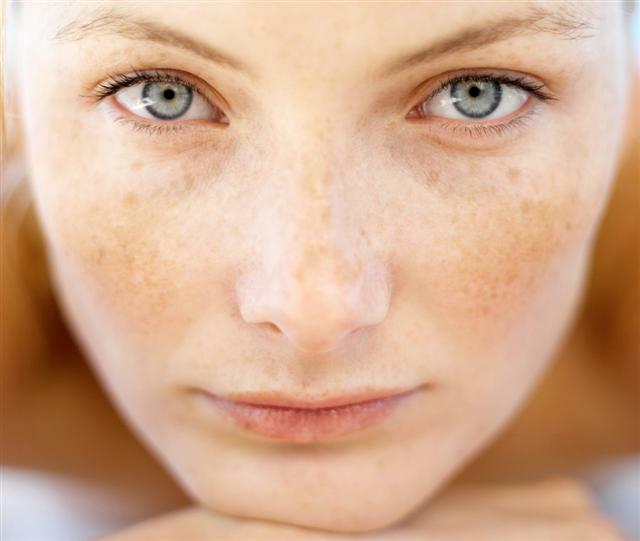 Products that contain kojic acid, renova or tretinoin will increase the appearance of sunspots quickly. Azealic acid is also helpful in fading spots that have been caused by hyperpigmentation. Your doctor may also provide you with a product that contains hydroquinone that can help to remove spots. However, carefully talk with your healthcare provider about whether or not this product is suitable because some studies have found that this product has caused cancer in mice.